Search-form presets - search for 'economy' and 'compact' car at the rental location 'Interlaken'. 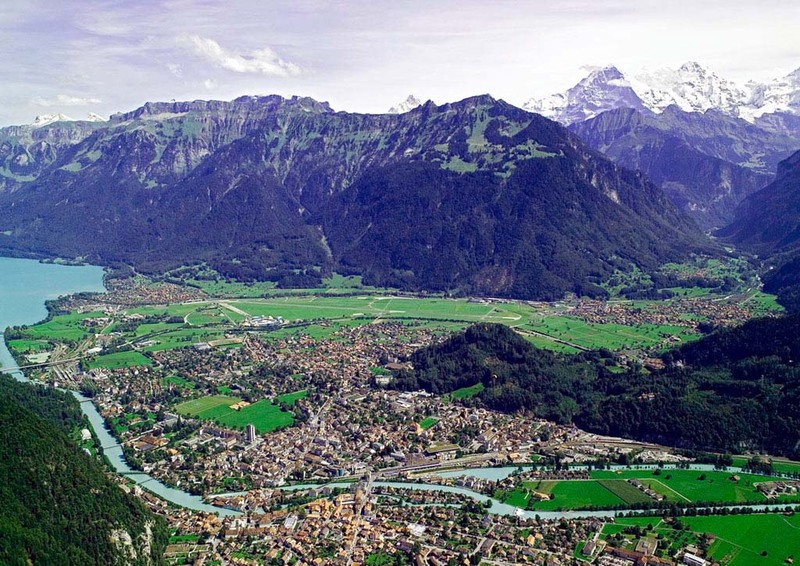 Address: Hoeheweg 39, Interlaken, Switzerland. The most popular models representing the mini, compact, and economy car segments in Interlaken are: Chevrolet Matiz, Toyota Corolla, Hyundai Accent, Suzuki Swift, Toyota Yaris, Toyota Auris and others. At the rental office in Interlaken, consider to take a 'Breakdown Assistance' package or ask an officer for a contact data to use in case of a vehicle breakdown. Cheap cars are sometimes unpredictable in operation. 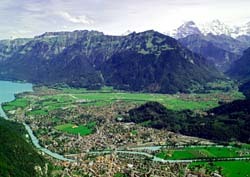 OrangeSmile.com wishes you a safe and great trip to Interlaken! Car drivers should also remember that parking cars in residential areas is prohibited. Secured parking lots are the most expensive, so tourists who hope to save are recommended to look for parking away from the city center. Drunk driving is one of the most serious violations with one of the largest fines. The minimum size of the fine is approximately 380 euro. Wrong overtaking may result in a fine of 150 euro, and passing the red light – no less than 160 euro. Despite the fact that there are no radars on the mountain roads, speeding is still not recommended. It is really not easy to drive in the mountains because absolutely every road has numerous steep slopes, rises and turns. Otto's is among the popular shopping centers of Interlaken. It includes trading pavilions of the most popular European brands. You'll find both elite shops and shops with affordable prices. Every week, discounts for certain groups of goods are announced in the center, so high-quality clothing of European manufacture and accessories can be bought at weak prices. Lovers of unusual things and souvenirs prefer Mad Cow store. Nice handmade things and antiquities are found there. Interesting toys, hand-made garlands and other decorations for the house, old candlesticks and decorated vintage bags will definitely interest lovers of exclusive designer things. Some of the antiquities are decorated and remodeled, others are sold unchanged. Not far from the railway station is located EdelWeiss Gifts Shop, one of the best-known in the city. You can visit it with the whole family. Men will enjoy a huge number of Swiss knives, watches, flasks and other stylish men's accessories. Ladies can choose chic tablecloths and locally produced chocolate. A large section of the store is given for children's toys. The range of prices for goods is very wide. Unique items made by local artisans are offered by Swiss Mountain Market Unique Regional Souvenirs store. At the entrance, a cute bright green sculpture of a cow is installed. It has long been a notable city attraction. Here you can purchase fabulous and unusual souvenirs similar to which you won't find anywhere else. Lovers of elite alcohol prefer this place, as well. The store has a whole showcase of alcohol.